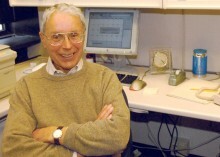 A veteran of more than a half-century of research, Edward Taylor, professor emeritus of chemistry at the University, has discovered a cancer drug with tremendous potential for treating nearly all solid tumors. After 11 years of clinical trials, the drug, Alimta, was approved by the FDA yesterday, and will be available on the market in as few as two weeks. The FDA approved the use of Alimta in combination with another drug, cis-platin, for the treatment of mesothelioma - a fatal type of lung cancer, which has been untreatable until now. The drug is administered intravenously for a ten-minute period only once every three weeks, making it perhaps the most convenient chemotherapeutic cancer treatment known. Six months ago, after 11 years of extensive clinical trials, Lilly, in cooperation with the FDA, made Alimta and cis-platin available for compassionate use - meaning medically eligible patients could obtain the drug free of charge before it was officially approved. And thus far, results from many patients have been overwhelmingly positive. Patients report that they feel better, have much less pain and can return to leading normal lives, Taylor said. "It is spectacularly effective in so many cases," Taylor said, "although it isn't a cure. No one claims a cure for cancer, because the cancer can come back. But if you have someone who should be dead, but instead is out mowing the lawn, or going on bike rides, that is a success." Alimta has shown very encouraging activity against a broad spectrum of solid tumors, including breast, bladder, cervical, ovarian, head-and-neck, lung, pancreatic and colon cancer. In addition to the FDA approval of Alimta for mesothelioma, Lilly has submitted a New Drug Application to the FDA for the use of Alimta in the treatment of second-line lung cancer. Submissions for other types of cancers should be forthcoming in the future based on results from ongoing clinical trials. Once the FDA has approved a drug for a single type of cancer, doctors can use it in a situation they think appropriate, a practice known as "off-label use." Alimta is taken into cells by specific proteins that act as a transportation device for Alimta and folic acid. Once inside the cell, an enzyme converts Alimta into a derivative that kills the cancer cell by blocking the normal role of folic acid as an essential factor in DNA, RNA and protein biosynthesis. "We are completely clobbering the folic acid cycle in the cell, which is needed for cell growth and survival," Taylor explained. So close to success, Lilly uncovered one more hurdle; patients were still showing unacceptable levels of toxicity - normal cells were being affected as well as tumor cells. Through the work of hundreds of scientists and one statistician at Lilly, it was discovered that the co-administration of both vitamin B-12, folic acid and Alimta, virtually eliminated toxicity to healthy cells. Research on the molecule that inspired Alimta began nearly six decades ago when Taylor was a doctoral student at Cornell University. He came across a paper in Science - a research journal - about a strange compound that had been isolated from the liver. What interested Taylor the most was that this strange compound he read about had an unusual ring structure consisting of two loops of carbon and nitrogen atoms, which had only been seen before in some insect pigments, including the pigments in butterfly wings. The same structure, later found in spinach leaves and fermentation broths, was shown in the Science article to be necessary for normal development of some microorganisms. Taylor found himself entranced; there was something really unusual about that bicyclic ring system. "What is the connection between butterflies, liver and spinach?" he asked. Before long, Taylor was in the lab, doing all he could to learn as much as possible about the reoccurring ring structure. Taylor knew it wouldn't be easy. He was tackling a problem that had already caused other scientists many headaches. "Just to figure out the ring structure in the butterfly wings took fifty years and frustrated two Nobel Prize winners," he related with a smile. Little did he know that a part of his entire career, and a very successful one at that, would take flight from those butterfly wings. Taylor spent his first few years attempting to understand the structure and properties of the compound. Meanwhile, other scientists discovered something remarkable about this "liver factor," that later became known as folic acid. They could change its structure slightly to stop, rather than aid, the growth of microorganisms. In other words, the scientists could create an antibacterial agent. While testing the antibacterial agent on patients, it was accidentally discovered that the compound also brought about remissions of acute lymphoblastic leukemia, a lethal type of cancer in children. "Now there is something that was really exciting, because you don't cure leukemia with an antibacterial agent. Something else was happening here," Taylor said. As the years passed, and though his research expanded, Taylor kept coming back to folic acid. "I just wanted to know what caused this cancer remission by the chemical derived from folic acid," he said. Scientists across the world saw the potential in the modified compound, and in related compounds, for the treatment of cancer patients. But these compounds were extremely toxic, and although they killed cancer cells, they also killed normal cells. In the early 1980s, Taylor's lab developed a compound that looked as if it might be a less toxic, more potent anti-tumor agent. He contacted the pharmaceutical company Eli Lilly, and asked them if they would be willing to evaluate the compound synthesized in his lab. Lilly scientists agreed. The resulting tests showed that Taylor's compound was so efficient, powerful and versatile that its unprecedented activity had mistakenly been interpreted as an error in the tests. Lilly and the University set up a research collaboration, with hopes that Taylor was on to something. "They were willing to take a chance," he said. There were frequent conferences and a steady exchange of research results. However, even with the collaboration, Taylor's initial compound was "horribly complicated to make," making synthesis difficult. He also ran full-force into a major chemical problem - "there was a bugaboo." One of the steps near the end of the chemical synthesis produced two closely related products that were extremely difficult and expensive to separate. Though one of the chief scientists at Lilly devised a separation method, it was inefficient, complicated and produced very little of the desired component. But Taylor was not ready to give up. By this time he had a good idea of the structural features that were critical for anti-tumor biological activity. He thought of a way to retain most of those features, while at the same time eliminating those that had given rise to the separation problem. However, this meant a drastic change in the structure of one part of the compound, the consequences of which could not be foreseen. "We took a chance, and figured 'Why not?'" Taylor said. The gamble paid off. "We hit the jackpot," Taylor said. Taylor's new compound, which became known as Alimta, moved on to clinical trials. While the compound was going through the first round of trials, Taylor's lab went on to develop hundreds of similar molecules, looking for an even more active compound. But he couldn't find one. "It was as if nature was sitting around just waiting for us to find Alimta," Taylor said. It has been a long road for Taylor and Lilly. "In 1980, I started working on an idea in this field, and it has led to all this. And looking back, I see it was a very naive idea, but that doesn't seem significant now," he said. Despite his success, Taylor remains modest. "The fact that it turned out the way it did is largely serendipity and was really good luck. Of course, the luck would not have come if we had not been working in the area, and we wouldn't have been working in this area if those hints pointing to something really important weren't there," Taylor said. "The signs are that Alimta may prove to be a shockingly good drug." Now, nearly 60 years after it all started and six years after his retirement, Taylor still comes to work every morning. He isn't teaching classes or running a research lab, but he continues to write papers, consult and edit a series of books. "Once I discovered organic chemistry, that was it - I loved it. And I have loved it every since. I still do it every day."